Over the past few weeks I’ve spent more time using my camera. In the same time a good friend of my came up with the wish to buy himself a new lens for hiw own camera. He wants an 18-200 zoom to have on the camera most of the time. When you’re looking up optical performances, prices and functionality for somebody else, you’re inevitably starting to think about your own material. Now I’m wondering: What do I want to achieve with my photos? He who takes a picture of 35mm focal length every day and still has fun doing so after 100 pictures, may buy himself a 35mm lens. What about this silly line? I’d like to take photos regularly. Practice, practice, practice. I want to know whether a prime lens suits me better than a zoom. I need the time (slightly more than three months) to save up enough money for a decent lens. So from now on, every day I’m going to set my kit zoom (18-55mm) to 35mm focal length, choose a motive and try to take the best picture I can. And since for some reason (that I absolutely don’t understand) one tends to be more focused when there’s a goal to pursue, at the end of the road there beckons a 35mm prime lens. 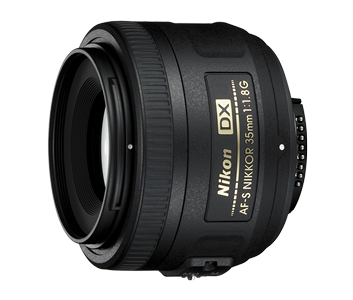 By the way: I chose this specific lens because of a recommendation found at gwegner.de.